Ted Walsh and his family were accustomed to spending the holiday season in sunny Australia, and wanted to switch things up with a real White Christmas somewhere beautiful. And what better place than Iceland? 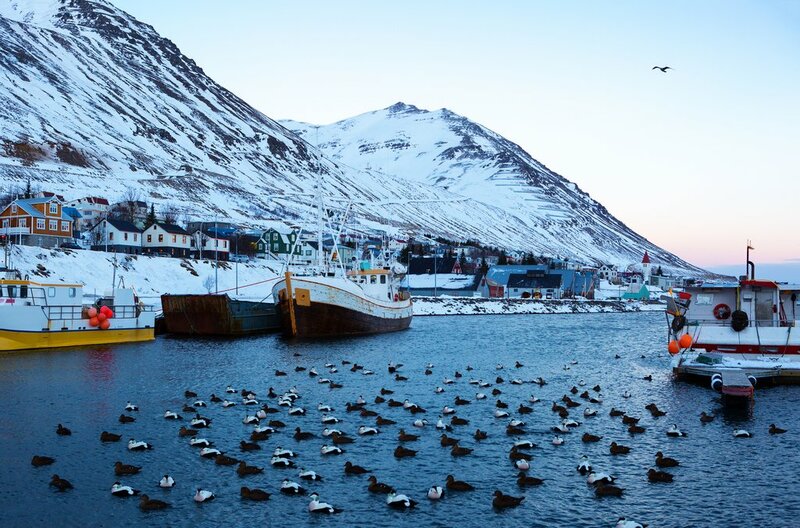 They went all-in with an immersive cultural experience: a homestay in a remote fishing village, complete with authentic Icelandic traditions and, of course, plenty of snow. Tell us a bit about you and your family. What are some of your previous favorite destinations, and how would you describe your travel style? My family consists of my wife and me, and my young adult children: my son, daughter, and her long-term boyfriend. We are generally independent travelers, sometimes joining short organized tours. While living in London, we spent our summer holidays driving around western and central Europe, booking our own accommodation and activities, but on our way back home to Australia in 2005, we did a Nile river cruise and Masai Mara tour with guides. We’ve enjoyed almost all the travel we’ve done, and would be loath to nominate any destination as a favorite - each one has unique attractions and character. It’s hard to compare Morocco to Poland, Kenya to Iceland, or Quebec to Egypt. What we like most are variety and new experiences. 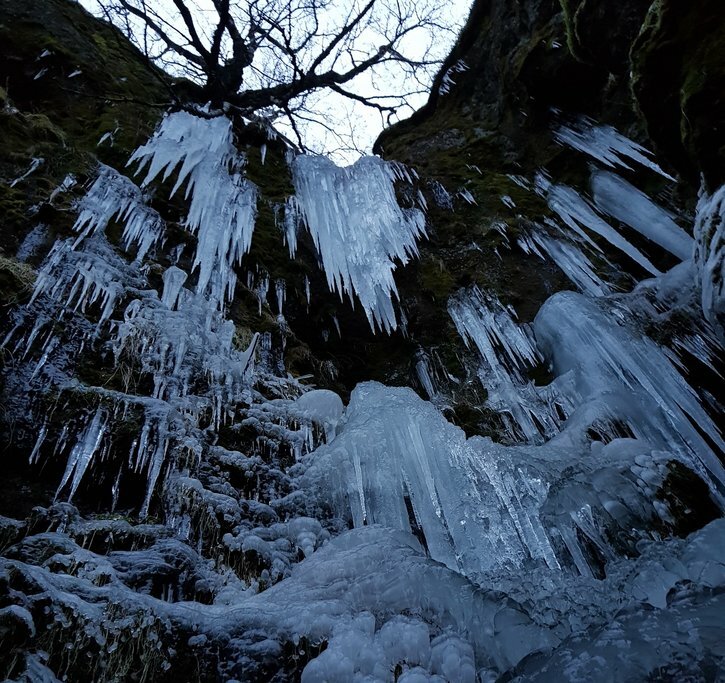 How did you first become interested in Iceland as a winter destination? I’ve been interested in Iceland since I read about the Cod Wars while I was an undergraduate in the early 1980s (and listened to the Sugarcubes playing unique Icelandic rock later in the '80s) so I’ve wanted to visit for over 30 years. We’ve had six northern hemisphere Christmases, but none of them have been in snow. So during our 2016 Christmas lunch on a hot summer’s day in Australia, I suggested that we head to Iceland in 2017 to scratch my longstanding travel itch and experience a White Christmas. Everyone agreed that would be a splendid idea so I contacted kimkim to get our planning underway. 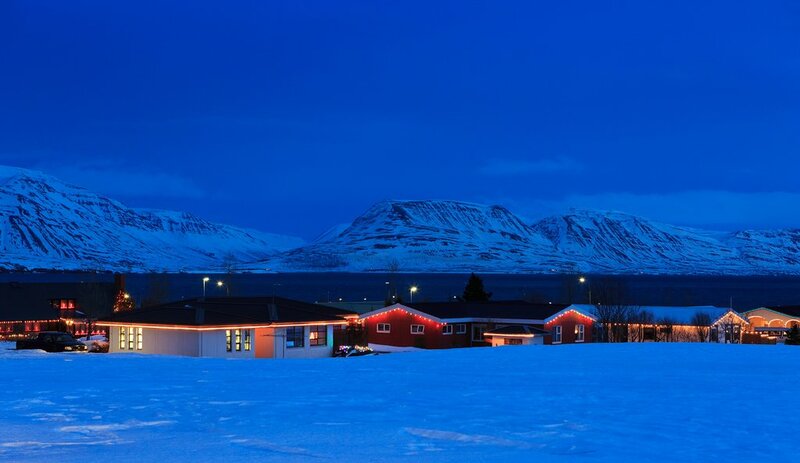 What appealed to you about doing a Christmas homestay at the Herring House in Siglufjörður? What are your favorite memories from that experience? 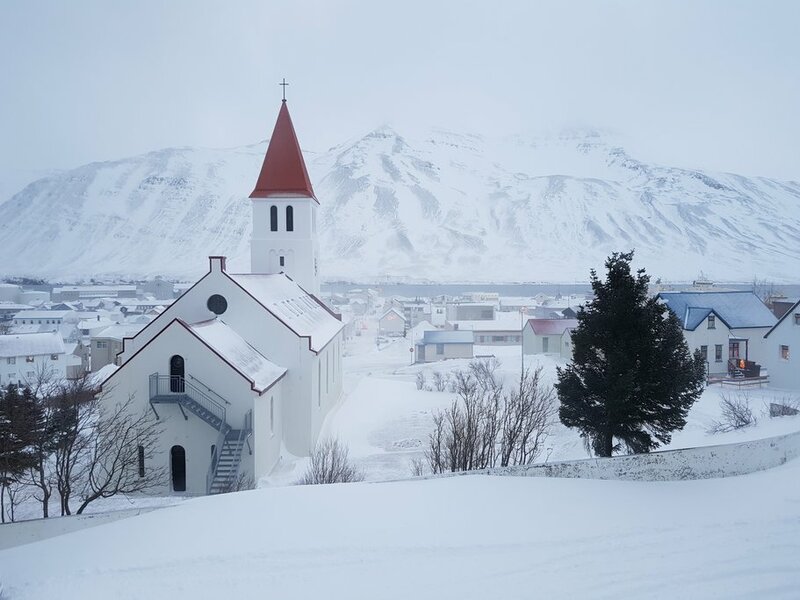 The reviews we read of the Icelandic Christmas experience at Herring House in Siglufjörður convinced us that this was exactly what we were looking for, and my weather research revealed that we would almost certainly have plenty of snow on Christmas Day. 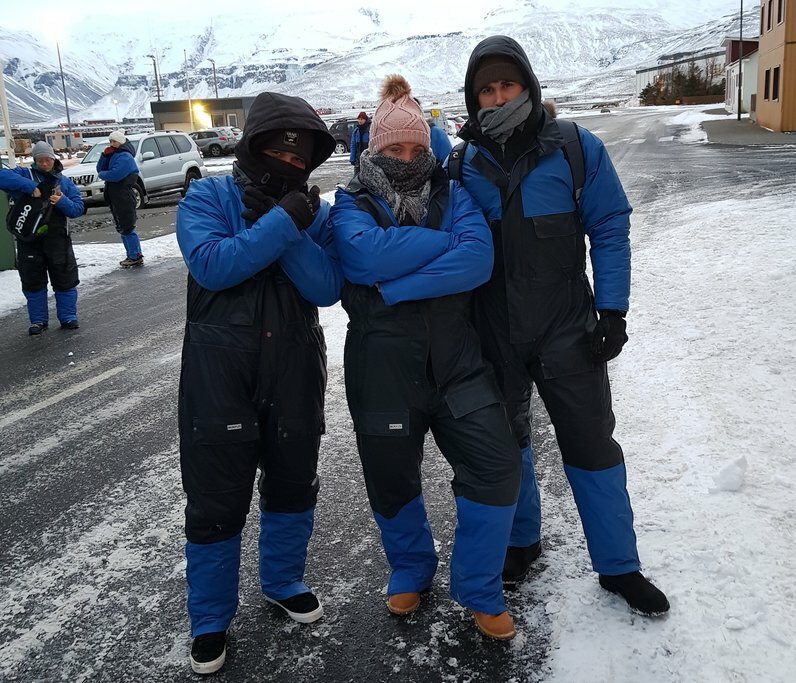 Although it may seem banal to those who are accustomed to it, the best part of our experience was watching it snow over Siglufjörður on Christmas Eve and Christmas Day. For us, it was like living in a postcard. A close second to the snow and scenery was the excellent food and drink and the local experiences our hosts facilitated. We were keen to experience Icelandic holiday traditions rather than those imported from across the seas, and we weren’t disappointed. The food we tried during the St Thorlak’s Day feast was quite memorable - we won’t be in a hurry to eat skata again [fermented skate fish], but we’re glad we had the opportunity to join in the festivities. You mentioned the dog sledding excursion as a highlight of the trip. Tell us what made it great - had you ever been dog sledding before? 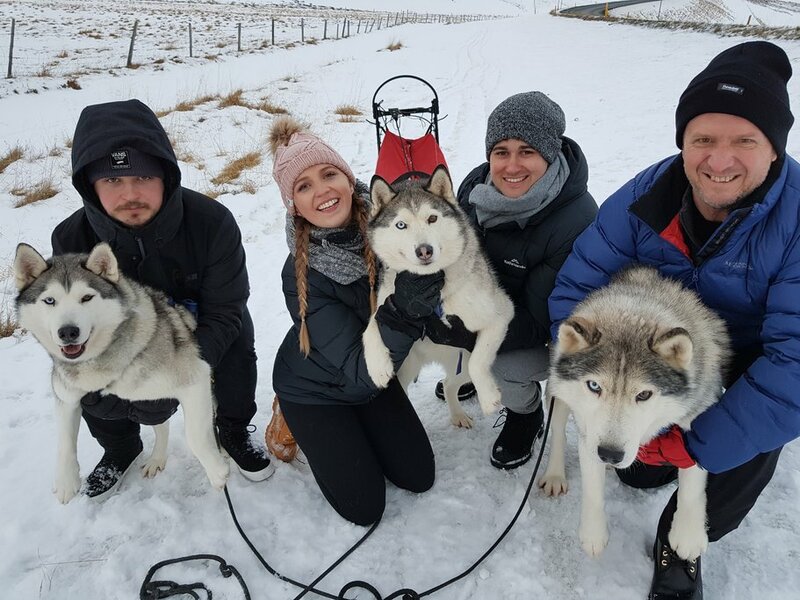 Although my children had been dog sledding with me near Rorøs, Norway, they were passive passengers and did not drive the sleds, so they were keen to try driving a dog sled themselves. Inspiration Iceland provided that opportunity. We were lucky to have perfect conditions on the day we went, with fresh snow and good weather, and all four of us got to mush our dog packs after some clear and concise instruction. My daughter commented that it was harder than it looked which added to her enjoyment and sense of accomplishment. 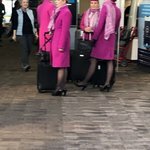 What other parts of your trip stand out as especially memorable? 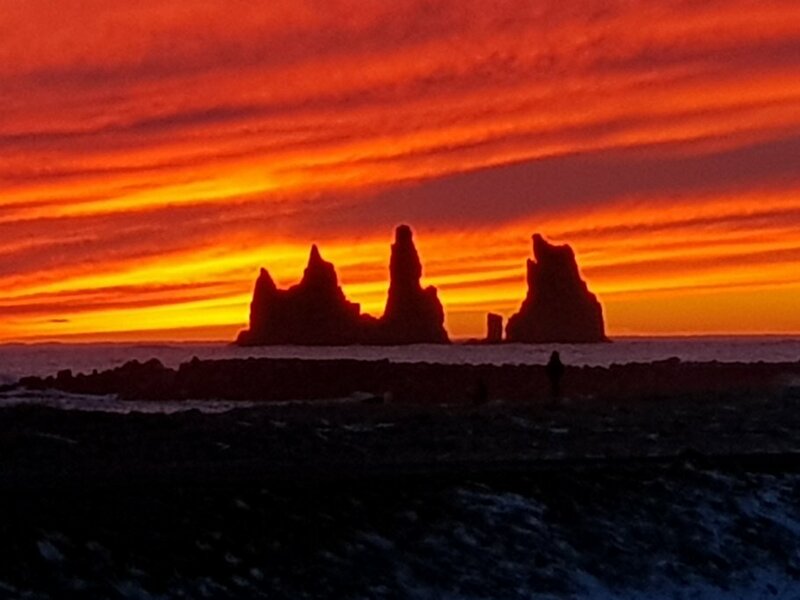 Apart from the wonderful memories of our Christmas at Siglufjörður, I think the spectacular sunset at Reynisdrangar, walking up a frozen ravine to the face of a glacier on the way to Thórsmörk during our super jeep tour, and the joyous anarchy of the New Year’s Eve fireworks in Reykjavik will remain with me the longest and most vividly. We were hoping to also have great memories of orcas from our whale watching tour and a spectacular Northern Lights display, but we missed out. Maybe next time! Even with 12 days, it's hard to see everything a destination has to offer. What do you want to do and see next time you visit Iceland? Our next visit to Iceland will be in the summer so we can see a different aspect of the countryside. We’ll visit some of the same places we went this time to see what they’re like in summer, but we’ll also visit the Westfjords and the eastern side of the island, which we didn’t see at all on this trip. Would you recommend this trip to other travelers? Where there any challenges? I would certainly recommend our trip to others who want a similar experience, but it wouldn’t suit everybody. Driving during a snowstorm was a bit challenging, and getting a good espresso was very challenging in some places - but overall the trip was quite manageable. And last but not least: where are you planning to go on your next adventure? Our next significant journey will probably be on the Orient Express, followed by a European river cruise. Not nearly as adventurous as Iceland, but a new experience for us! This trip was planned by Preeti Bhide, our local specialist based in Iceland.